In 1986, Mr. Otoji Nakagawa, the then mayor of Higashikawa, envisioned an international role for the town and visited Canada. The Alberta government introduced him to Canmore, which is similar to Higashikawa in terms of climate and tourism. After a series of friendly exchanges, the two towns agreed to form a sister-city relationship. On July 12, 1989, the two towns signed the friendship treaty in Canmore. Canmore, 22 km east of Banff National Park and 106 km west of Calgary, is surrounded by the Canadian Rocky Mountains. The Three Sisters, a chain of three mountains, is the symbol of the town. In February 1988, the town hosted the Nordic events of the Calgary Winter Olympics and the ski facilities still remain open for public enjoyment. The main industries are tourism, cement, ceramics, and forestry. 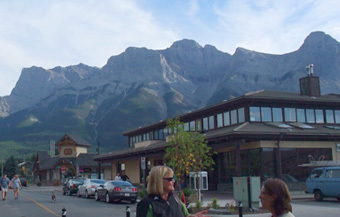 The population of Canmore continues to increase with its booming real estate industry. Commemorating the exchange, Higashikawa renamed Kitoshi International Skiing Alley Canmore Ski Village. 15 junior and senior high school students visited Canmore. Canmore changed the Bow River walking trail's name to Higashikawa Friendship Trail. The members of Hyodokai ice sculptors visited Canmore and taught them how to carve ice sculptures. 17 citizens and 17 junior and senior high school students visited Canmore. Public servants exchange. 19 students and 13 citizens visited Canmore commemorating 10th anniversary of the exchange. 12 citizens from Canmore visited Higashikawa and “In The Pink”, an A cappella group, held a concert. 18 junior and senior high school students visited Canmore. 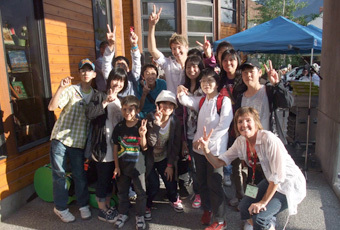 Invited 5 high school students from Canmore who participated in an exchange with the students of Higashikawa. 4 people including the Mayor Ichiro Matsuoka and the Chairman of the Town Council Kaoru Ishigami visited Canmore. Higashikawa Photo Gallery held a photography exhibition of Hisashi Okamoto's and Pam Doyle's works. Sculptor from Canmore, Tony Bloom, visited Higashikawa. Students from Higashikawa Third Elementary School and Canmore Elementary School collaborated to hold a Web Conference. English education specialists were invited to Higashikawa commemorating 20th anniversary of the exchange. 12 junior high school and high school students from Higashikawa visited Canmore and had exchange with the local students. In order to promote the administration of tourism, 3 public servants and 1 member of the municipal assembly visited Canmore. 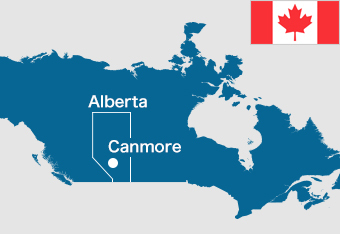 A public servant was sent to Canmore to take part in a 6 months long English language course. The exchange between the Republic of Latvia and Higashikawa started in 1993, when the people of Higashikawa gathered elementary and junior high school books, picture books and other Japanese language teaching materials to send them to the Japanese Language Evening School in Riga, the capital of Latvia. The exchange continued and on July 7, 2008, a friendship treaty was signed between Higashikawa and Rujiena, a town located in northern Latvia. Rujiena is located in northern Latvia, 150 km from Riga, the capital of Latvia. 95% of the population is Latvian, which is why it is called the “most Latvian town” in the country. Rujiena acquired its name from the river Ruja, that flows through the town. The river’s name comes from the Estonian word “ruhi-sile”, a dugout canoe. In 1997 the town was incorporated into the North Vidzeme Biosphere Reserve. It is a vast territory in which natural treasures and landscapes of international significance are being preserved, while ensuring sustainable social and economic development. 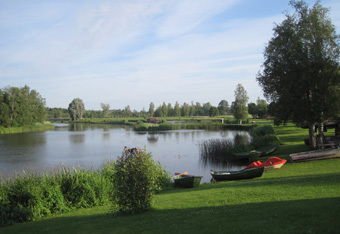 Rujiena is well known in the country for its agricultural products, bakery “Liepkalni” and ice cream brand “Rujienas Saldejums”. Higashikawa delegation visited Rujiena to explore further exchange opportunities. A delegation of 25 people including the mayor of Rujiena, Guntis Gladkins; visited Higashikawa. A friendship treaty was signed by the two towns. A delegation of 35 people visited Rujiena. Una Volkova started working in Higashikawa as a Coordinator for International Relations. Higashikawa-Rujiena’s Friendship Exhibition of Photography was held. 4 people including the Mayor and the Chairman of the Town Council visited Rujiena to discuss possibilities in welfare in northern Europe. 14 people visited Higashikawa and took part in the Japanese language and culture programme. Latvia was included in the opening event at Asahikawa International Center “Feeeal Asahikawa”. 6 child care specialists visited Rujiena. The Ambassador of the Republic of Latvia to Japan, Peteris Vaivars, participated in the Sea to Summit triathlon. A delegation of 20 people visited Rujiena to discuss possibilities in renewable energy in northern Europe. 2 Rujiena High School students visited Higashikawa to take part in the Japanese language and culture programme. 2 high school students from Higashikawa were sent to Rujiena. 4 Rujiena High School students visited Higashikawa to take part in the Japanese language and culture programme. A delegation of 20 people visited Higashikawa commemorating 5th anniversary of the sister-city agreement. A folk tale collection called "Latvian Folk Tales" and a picture book "Latvian Tales" were published. 4 high school students from Higashikawa were sent to Rujiena. A delegation of 23 people visited Rujiena. Krista Bogdanova started working in Higashikawa as a Coordinator for International Relations. 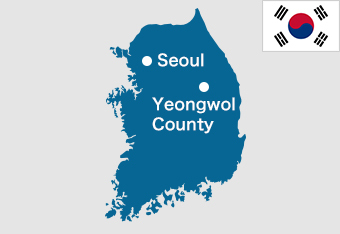 Yeongwol County is located close to Pyeongchang, the host city of the 2018 Winter Olympics, and has beautiful scenery, a variety of museums and hosts the Dong Gang Photo Festival. 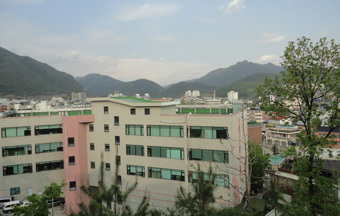 The exchanges between Higashikawa and Yeongwol County started in 2008, and various exchange activities for children and adults have been carried out since then. A Cultural Exchange Agreement was signed in November 2010. Yeongwol County is a place of breathtaking nature and traditions. 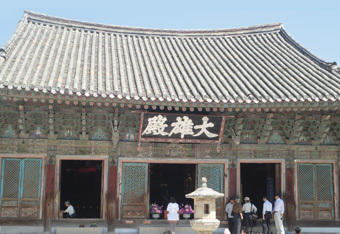 It is located in central Korea, 169.1 km from Seoul, the capital of South Korea. It is a small city with the population of about 40,000 people, which prioritizes on its natural resources. Also, there is a UNESCO World Heritage Site (Jangneung, Royal Tombs of the Joseon Dynasty), other historical heritage sites and the beautiful Donggang River. The main industry is tourism, being the “town of roofless museums” (24 museums) in South Korea and attracting 2.5 million visitors every year from all over the world. A photographer from the Republic of Korea, Kim Su-Nam, won the 11th Higashikawa Overseas Photographers Prize. The guest of honor that year, Kim Seung-Kon (Nihon University graduate, Juntendo University professor, guest of honor in 1995 and 2005), took a page from the book of the Higashikawa International Photo Festival and held a similar festival in South Korea. Yeongwol County declared itself the first “Photo County” in South Korea and in the following year started to hold Dong Gang Photo Festival. 3 people, including curator of the Dong Gang Photo Museum, Curator Jeong Sun woo, visited Higashikawa. 10 people, including the chairman of the Town Council, Kei Hamabe, and the Deputy Mayor, Atsushi Nagahara, visited Suwon and Yeongwol County. 5 people, including Deputy Mayor and the Chairman of the County Council, visited Higashikawa. 5 people, including Deputy Mayor, visited Higashikawa. 6 people, including the Mayor, Ichiro Matsuoka, and the Chairman of the Town Council, Kei Hamabe, visited Yeongwol County. 25 members of Korean Exchange Association visited Yeongwol County. 20 members from Yeongwol Junior Soccer Club were invited to Higashikawa for a friendly soccer match. 14 members from Higashikawa Junior Soccer Club were sent to Yeongwol County for a friendly soccer match.